Space Outdoor operate a 48 sheet backlight at Nottingham Road, Melton Mowbray. Positioned directly outside Sainsbury’s Superstore, this rear illuminated hoarding targets local residence of Melton. 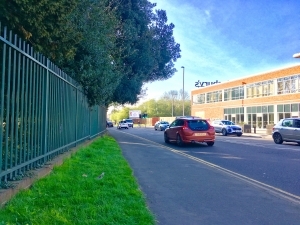 Due to the location on Nottingham Road this advertising panel also targets residence of nearby villages in the Vale of Belvoir and traffic visiting from the nearby city of Nottingham.